Maybe you are looking to incorporate trees to your backyard however do not know what to choose. Perhaps you are frightened of starting a forest as trees tend to grow, and grow, and grow. Perhaps you just need some little accent to a deck area or around a pool. However, it is essential to think about a few things before planting a tree in your garden. First, be sure to do your research to figure out how big the tree will become. Listed here are just some small trees that you may want to grow in your garden. Certain kinds of maple tree are perfect for gardening for small spaces. The Rocky Mountain maple is a small tree, generally less than twelve feet tall, with a green tinged smooth bark that is only indigenous to the Pacific Northwest, but can also be found in New Mexico, Arizona, Nebraska and South Dakota. Whilst the Vine maple is a somewhat larger tree that can grow to 20 feet tall and does well in good, damp soil. 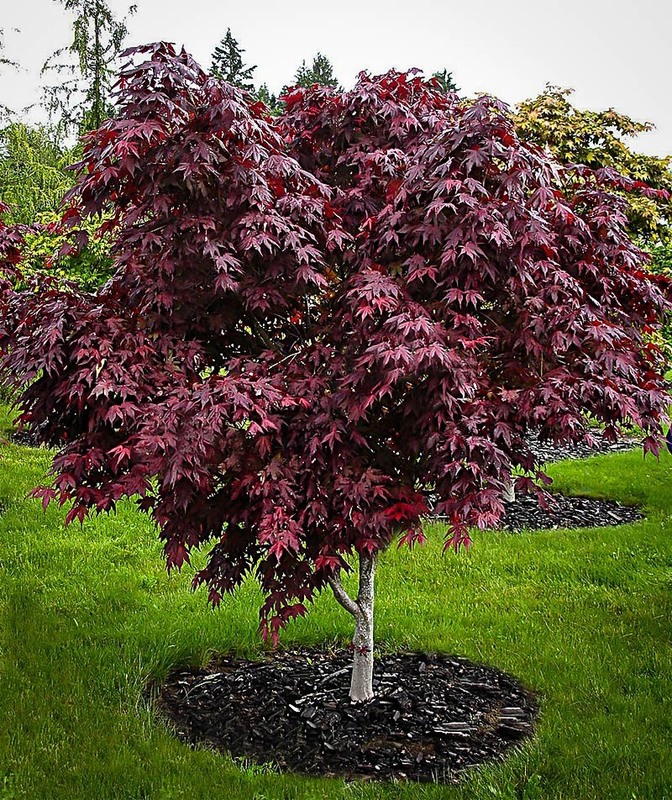 It is frequently used in landscaping because of its vibrant fall leaf colors, showy bark that resembles the Japanese maple, as well as its sturdy growth. The Japanese Maple (Acer palmatum) is also called the Japanese Mountain Maple. These grow more like bushes instead of trees. The Japanese maple has a diverse number of hybrids, by some counts more than three hundred. The leaves of Japanese maples vary from light green to deep burgundy. Much like the trident maple, Japanese maples are quite durable trees. They are great addition to the garden as they are not only small but also v ery colorful sight to see. If you are looking for a tree which has something to offer year-round then you have found it in the Washington Hawthorne. In late spring you will get lovely white flowers. In the summertime you have the texture and colour of dark green leaves and once fall hits, you can expect red and orange leaves to grace its branches. It isn’t done then though, as deep into winter you will still see clusters of red berries against the graying sky. The one downfall is that yes, it has thorns, but that’s a little price to pay for all that interest. This tree does best in zones 4-8. The Eastern Redbud opens spring with an explosion of pink flowers and it is adaptable to a wide range of soils. It is great for yards within zones 4-9 and at full height it will just be around 30 feet. Such a great way to decorate your yard!